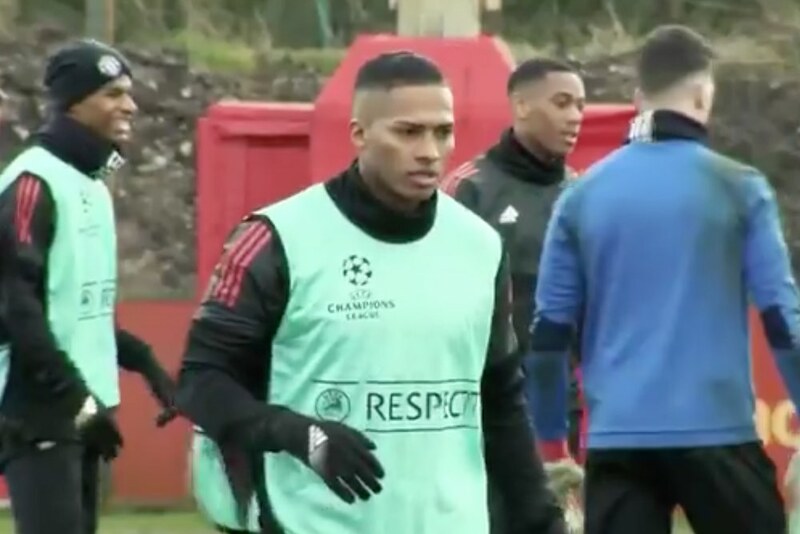 Manchester United have completed their final training session on UK soil before they start their campaign in the Champions League knockout stages. The Red Devils were in action at their Carrington training base earlier today, before heading to Spain for their last-16 first leg against Sevilla. Among those pictured during the session were right-back Antonio Valencia and forward Marcus Rashford, who have shaken off their injuries and are in contention to be involved tomorrow evening. Here are photos and video from training.